More and more Star Wars, I haven’t been this giddy about the subject since I was a kid, and at that time, everything was Star Wars, Star Trek, and then Indiana Jones. It’s like being a kid all over again, and I was quite happy to jump into this Young Adult book to find out what had happened with Rey, Finn and Poe before the events of The Force Awakens (and have some of my suspicions confirmed about a couple of things). The book is broken up into three parts, one for each of the new main characters the film introduces us to. We first check in with Finn, but of course, he’s just a stormtrooper, FN-2187 here. We follow him through some training with his three other squad mates (one of whom is now internet famous because of his one moment in the film). 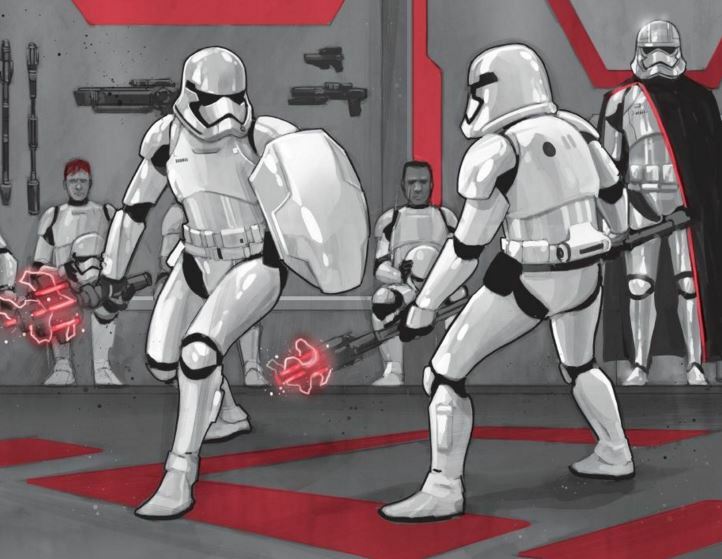 FN-2187 seems to be a born leader, and a bit of an outsider, while the rest of his fire team is trained, and ready, they also seem to be completely devoted to the First Order, but FN-2187 finds himself questioning some of its practices, especially when he and his unit are on their first assignment. Captain Phasma, however, believes there is great potential in FN-2187 and keeps an eye on him, even advising him, before giving him one last chance with the attack on Jakku. And speaking of Jakku, that is where we join Rey in the months leading up to the Awakening. We see her living the life of the scavenger, having fought for everything she has, and how she learned to fly, and piece things together as well as she does. We get a look at what little bit of a life she has, as she ekes out an existence trying to earn enough portions from Unkar with her scavenging. It also ends up being an exercise in trust for her, when after a massive desert storm, a nearly intact ship is unearthed in the ship graveyard where she and countless others hunt for pieces of serviceable and working equipment to sell. Working for months, she struggles to restore the ship, and finds some unexpected help, and some harsh lessons. Finally, we join Commander Poe Dameron, a pilot in the Republic Navy. After seeing an organized First Order attack on a cargo ship, Poe begins to think that the remnants of the Empire are in far better shape than the New Republic officials would have everyone believe. 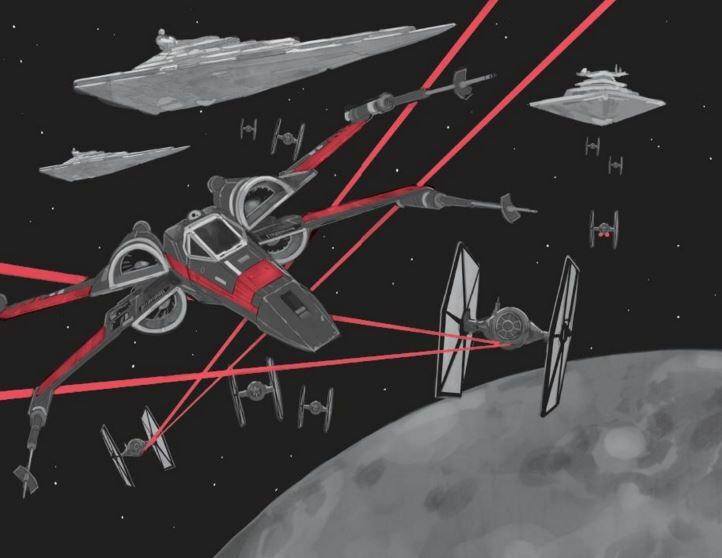 He also finds their inaction frustrating, and when he goes off-book to track down the cargo ship, he catches the attention of a splinter group working to preserve the Republic, and battle what they know is the growing threat of the First Order, the Resistance. He’s recruited by the Resistance, and sent on a dangerous mission which may reveal a traitor within the Republic! I quite like how Rucka writes, and loved spending time with these new characters and seeing what lead them to where we first got introduced to them in the theatre. I hope he writes some more, and even though these books are way too short, and classified as Young Adult, they are very much the space opera we know and love as Star Wars!